Chantal Flores has walked the desert with desperate Mexican families searching for clues to the fates of their missing loved ones. 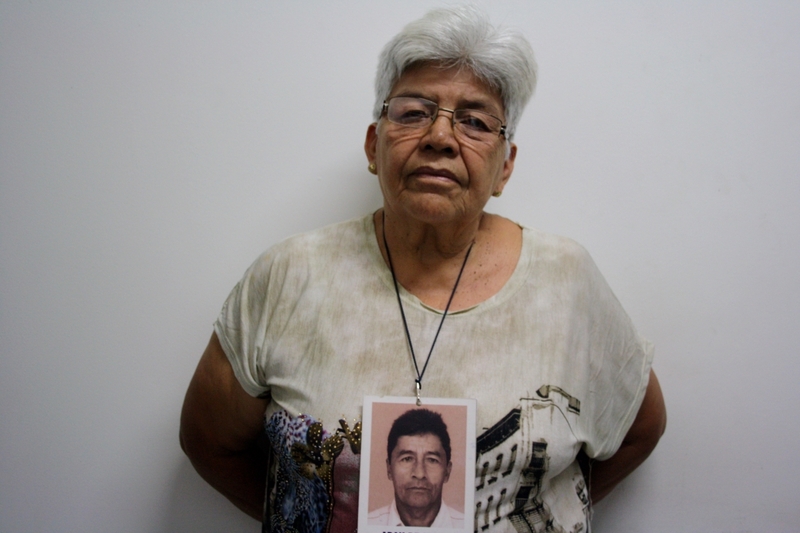 Now as Colombia's civil war nears an end, she asks what lessons that country's long, grim experience with disappearances can offer the legions of bereaved in Mexico, and how forensic science is advancing the search for unmarked graves. Talking to them is painful. While interviewing the mothers and wives of all those who have disappeared during Colombia’s conflict, I often wonder if it’s right to take them back to that moment when their lives shattered. I’ve been covering disappearances in Mexico for almost two years, and one of the oldest cases I’ve been following is from 11 years ago. Every time I’m with the mother of that 15-year-old girl who simply vanished one Thursday afternoon, I cannot stop thinking about how she’s kept going all these years. The first few days in Colombia, I talked to mothers and wives who have been waiting for their relatives since the 1990s, and the most astonishing thing is that they keep fighting. Their lives, their daily routines, have been greatly altered since then and they haven't kept silent, even though many have been threatened, harassed, and persecuted. It’s been a great challenge to report on a subject I’m familiar with but in a different context. During the interviews, I often feel somehow inadequate, afraid that I lack the sensitivity to really hear their stories. However, even though the sociopolitical scenarios are different, and the cultural norms are somewhat distinct, there’s something that unites Mexico and Colombia. As soon as I tell the families about the work I’m doing in my home country with the families of the disappeared, they are all compassion, too aware of what awaits those Mexican families. There have been many challenges in my reporting so far, but I think the most important is to go deeper into what is an oft-told story and to break out of that linear narrative that we usually rely on to recount Latin America’s long history of disappearances. Reporting on the suffering of others has never been easy, and although currently there are more resources and guidelines to cover trauma more ethically, once you’re in the field the story is different. The more I talk to them, the more complex it becomes to portray the pain and struggle they have endured without poking at their wounds, or even exploiting them. I think the first tool the people I’ve interviewed have given me is their life path: they moved from their pain and sorrow to a place of action, demand, and reconstruction. Let’s see if this approach takes me to the hidden story I need to tell. See Chantal's Press Start story on Al Jazeera! As peace settles over Colombia for the first time in decades, the desperate hopes of thousands of bereaved families rest on the forensic scientists piecing together skeletons and shattered bones in a laboratory in Bogota. By one estimate, more than 60,000 people disappeared in Colombia’s conflict between 1970 and 2015. 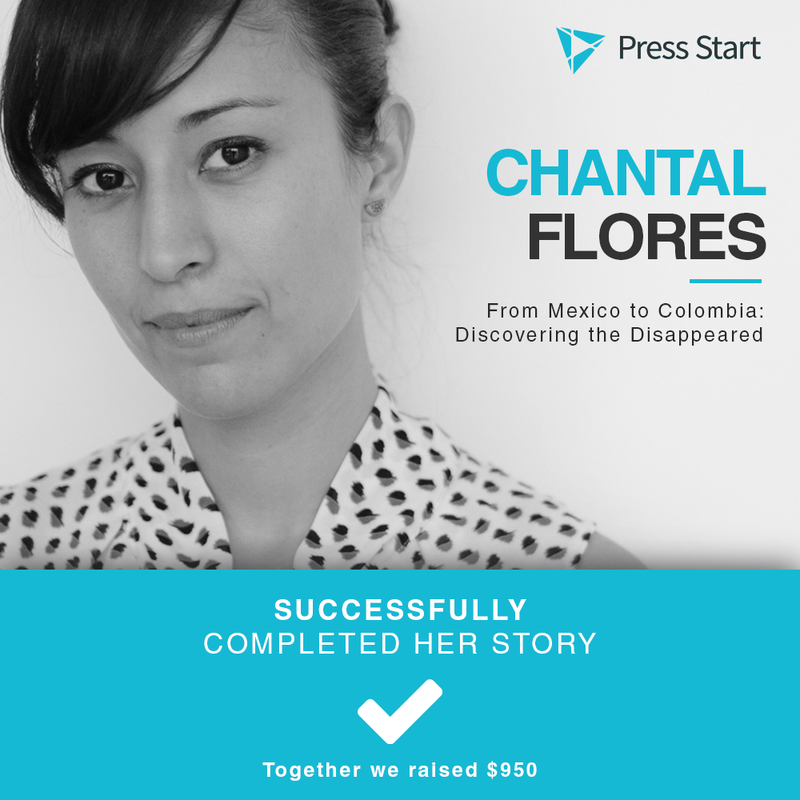 Supported by Press Start donors, Chantal Flores traveled to Colombia and spoke with grieving mothers and the scientists who, with new equipment and software, are trying to bring them some peace of mind. You can read her story on the Al Jazeera website. Chantal Flores, a Mexican freelance journalist, has traveled throughout Central America writing stories about people in extraordinary situations. In 2010, after visiting Guatemala, Belize, and Honduras, she settled in Zapotitlán Palmas, Oaxaca, a rural community in southern Mexico being emptied out by emigration. There, she taught a creative writing workshop at the local middle school and posted her students’ work on a bilingual blog called Words of Resistance. Flores has also reported from her hometown, Monterrey, on the plight of Honduran immigrants en route to the United States trapped by increased border security in that northern Mexico city. Her work has appeared in Vice, Rolling Stone Mexico, In These Times, and Upworthy. She traveled to Guyana as the recipient of the Canadian Hunger Foundation's Jay Telfer Award for her work educating young people about sustainable development, and she was recently selected for a nonfiction writing residency at the Carey Institute for Global Good in Rensselaerville, New York. These days, Flores lives in Mexico City and is working on a book about parents looking for the hidden graves of their children, some of the army of people who have gone missing in her country’s horrendous drug-related violence. Human Rights Watch has documented hundreds of so-called enforced disappearances in Mexico since 2007. In all, thousands of Mexicans have vanished or been killed or displaced since former President Felipe Calderón took office in 2016 and declared war on drug cartels. Calderón’s successor, Enrique Peña Nieto, has vowed to continue the crackdown. The abuses have been committed by security forces and gangsters alike, with very few prosecuted, thanks to the country’s widespread corruption. Mexico ranks toward the middle of 168 countries in Transparency International’s most recent annual Corruption Perceptions Index. Attacks on journalists, activists, and students have increased significantly in the past years. Ninety-four journalists have been killed since 2000 and dozens more attacked and threatened, with journalists in small or midsize cities the most vulnerable, according to Article 19, a human rights and free press watchdog. “This kind of journalism is truly in the public interest and, in Mexico, it’s necessary [in order] to create stories that include perspectives that are sometimes neglected or censored,” she says. In exploring the families’ search for their loved ones, Flores says she is “reporting and writing about one of the biggest crises that my country has faced. I cannot imagine myself watching everything that’s happening in my environment, and not writing about it, or investigating, or asking questions. Click here to see Chantal Flores's reporting proposal. Contribute to this journalist on a monthly basis. You can cancel at any time.